GRiPPS™ Technique Tool Cables provide an effective means of attaching a fully certified tool anchor point on a wide range of tools and equipment. 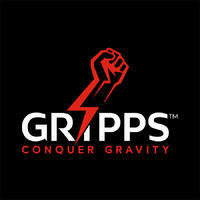 Stop the drops by using GRiPPS™ Tool Tethering gear! - Reinforced form-poly belt with 7 retractable holsters. - Lightweight ergo-motion back support for ultimate comfort. - Fully certified and load rated. Clip2Loop Coil Tether 10 Pack (0.9 Kg Capacity) 0.